I have featured Pocitelj before on this blog: in the recent 10 Places to Visit in Bosnia and Herzegovina post, as well as the 5 Best Places to visit in Herzegovina post. 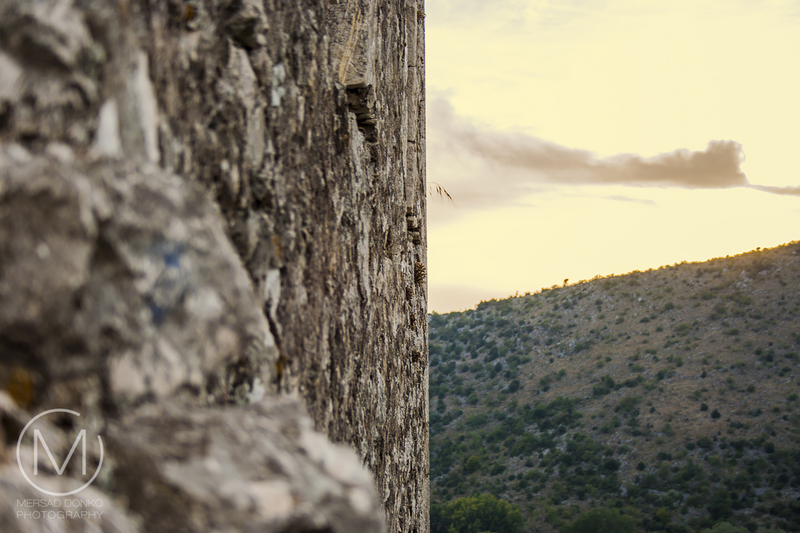 Then there was the extensive three part travel series to Pocitelj, from which you are about to see some outtakes and other previously unreleased images. 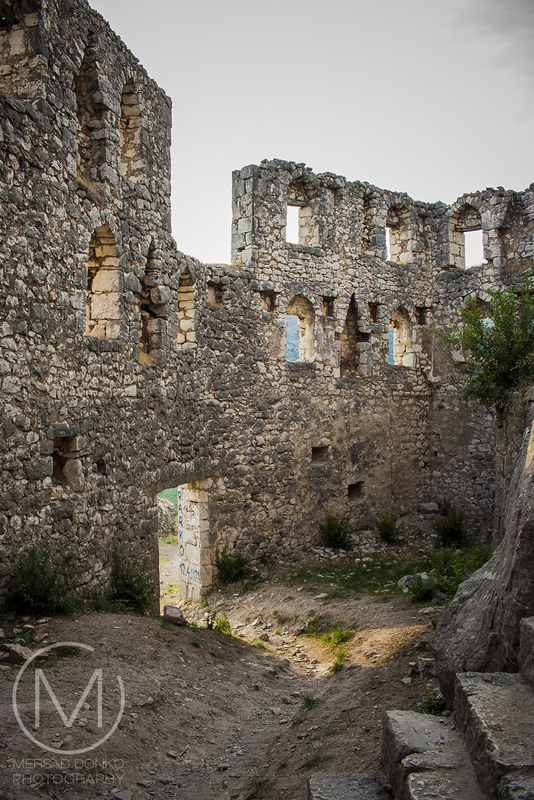 The images in this post are focused on the old walls of Pocitelj, or at least what is left of them from over the years. Pocitelj presents one of few urban ensembles in Bosnia and Herzegovina preserved in their integrity to the present time developed through the several phases of the history, beginning with the medieval period. When you stand here, inside the walls, surrounded by so much history, you start to wonder about the place, of what was here before, and who stood in these spots. There is quite a lot of the old structure left here, and the main tower is very much accessible. 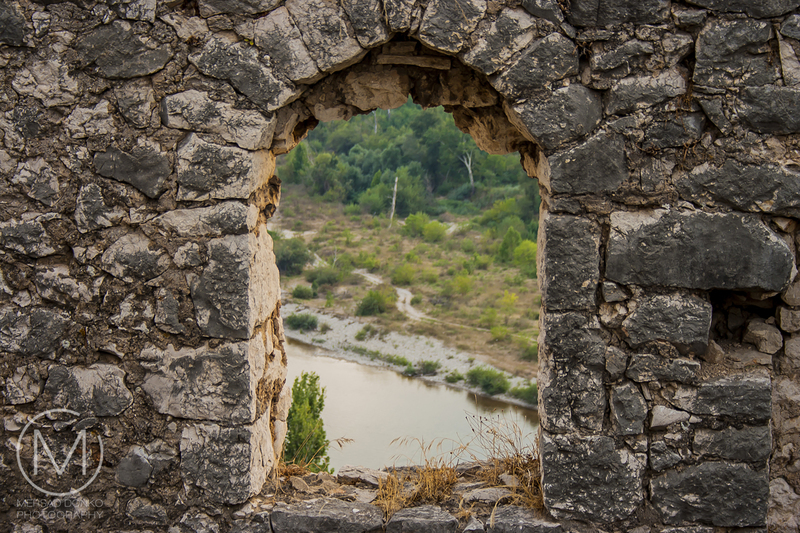 From many places, you can gaze out of the windows and look into the surrounding nature and river Neretva, which is flowing beside the town. 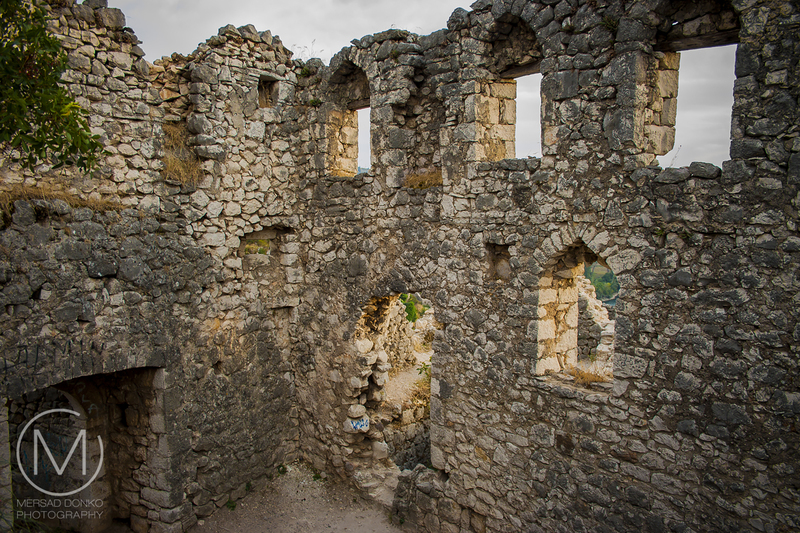 The main tower in Pocitelj is accessible by narrow steps that lead you right away from in entrance, in circular motion, to the upper deck of the tower. 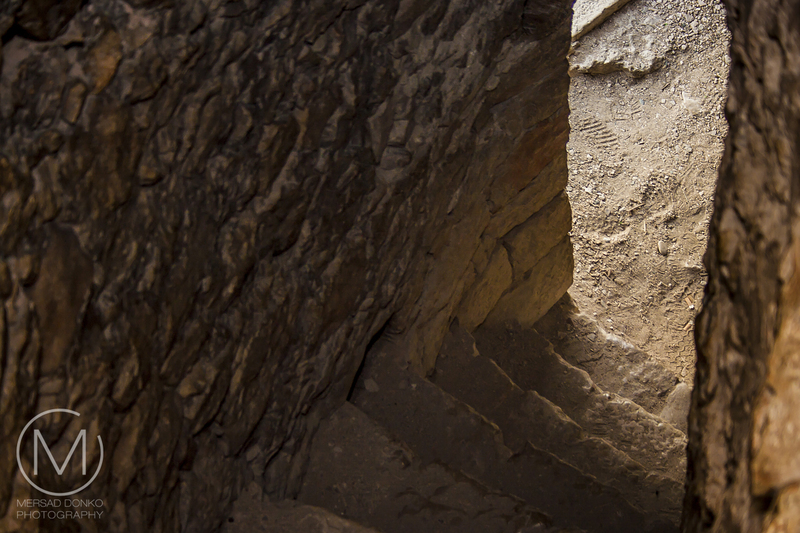 You have to be very careful here, since the steps are steep and broken off in places. There is nothing to hold on to here, and almost no light, but the journey up the tower is not long, and only lasts a minute or two. And the rewards for the adventurous traveler are more then great. 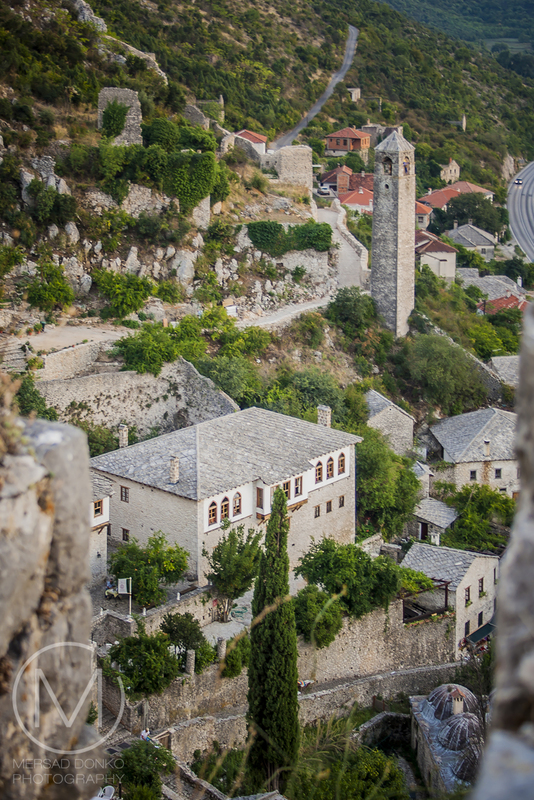 Visiting Pocitelj is free of charge, and it's one of the most visited locations here in Herzegovina. You can leave your car in the parking lot at the foot of the hill, and make the climb up. Make sure to bring water with you. You will find good food in one of the restaurants below the town. Up here, there are many paths, and nothing is marked, which is actually good, since it doesn't spoil the fun of exploring. 1. It makes a great afternoon trip from Mostar. 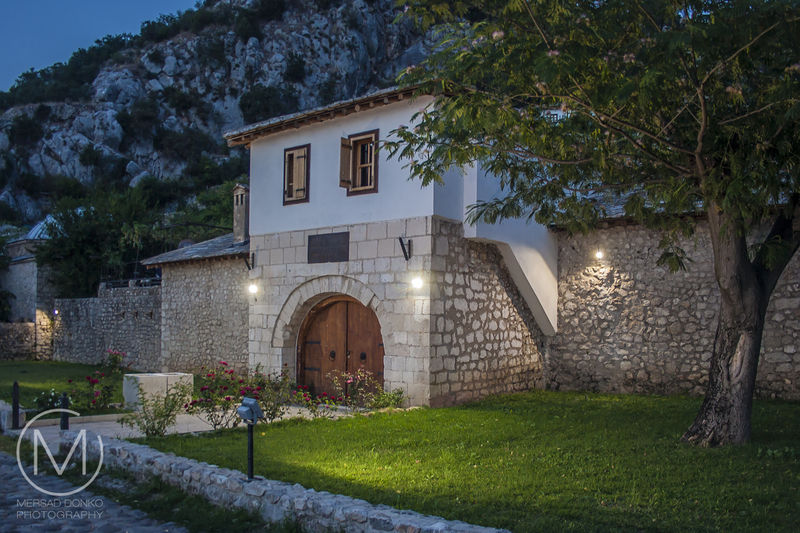 If you are exploring the area, around Mostar, and you have your base set up in Mostar, then this is an ideal two-three hour visit. Pocitelj is only 25 minute car or bus ride away from Mostar. While there are many shops and resturants here, there is no entrance fee into the structures. The climb up the hill leads you through the old town. You will see many old structures, new houses, places of worship, until you reach the top where the tower is. There is lots to see and explore! 4. Other points of interest. Only 5 minutes south is the town of Caplijina. You can visit Blagaj (15 minute car ride north) on that same day as well. As you will, hopefully, gleam from these images here, Pocitelj is a very iconic spot for photos, and no matter where you turn your camera, you're going to get a good photo. 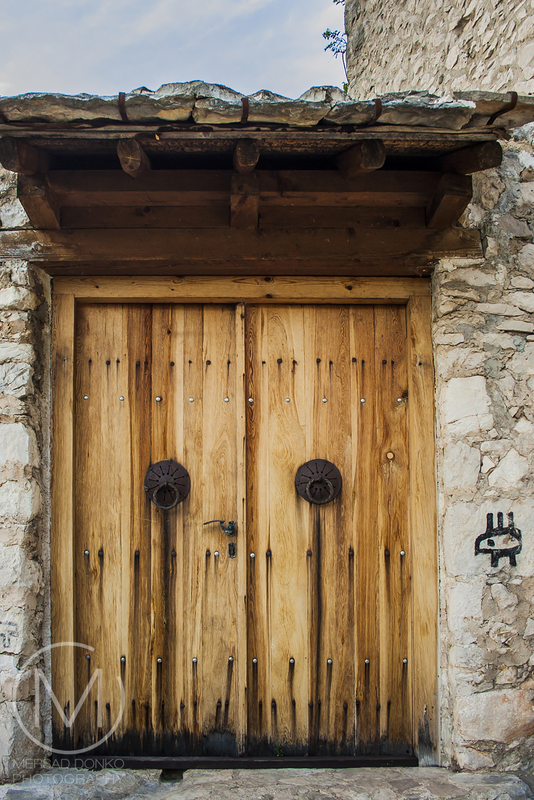 There are also some residential houses in Pocitelj, and you will see new doors that look like old ones. Since the city is in UNESCO's World Heritage List, the new structures have to be in code with the old ones. This makes for a harmonious look of the whole place, and really transfer to the overall enjoyment of visiting Pocitelj. I hope you have enjoyed this little outing into one of the southern historic spots of Bosnia and Herzegovina. That is a lovely old place.I love theold walls and the sstories they could tell if they had a tongue. You are right, there is a photograph at every turn... Certainly a wonderful place to visit. Thanks Sarah. My sister is in the 3rd and 9th photo. Hello Mersad, it is a beautiful place to visit. It would be fun to explore the ruins.. Your sister is lovely. Gorgeous photos and post.. Happy weekend! Gorgeous images Mersad, anyone in the area would be mad if they didn't take the opportunity to visit this beautiful place. Ah, a beautiful, wonderful place to visit indeed!! So much history and beauty!! Wonderful captures as always, Mersad, and the next best thing to being there! I hope you have a great weekend! Enjoy! Love the old stonework! What a marvelous place. I was persuaded enough why Pocitelj is worth visiting by your fabulous photos which speaks a lot, Mersad. The door (the second from the bottom) looks like a Japanese one. So beautiful. Those wooden doors are impressive! wonderful stonework and ruins. like the wooden doors, too. I wanna go! By the way, the stairwell picture is wonderful! Sehr schöne Bilder wieder, auch von den Damen. Excellent set of images and commentary. 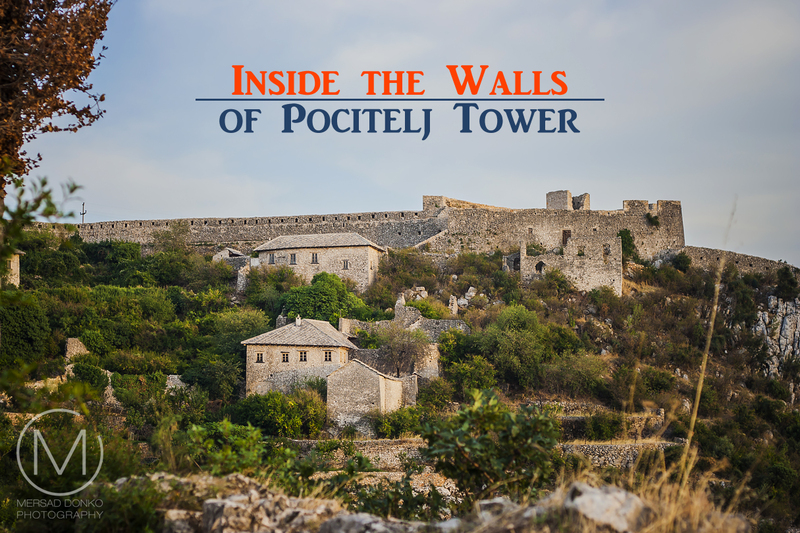 Yes, Pocitelj was quite worth the visit; thanks for bringing it to us. As usual, you shared beautifully, including the old things and the new. Thank you so much. So beautiful! You have taken some great photos and it makes me want to visit. Wow-I could easily spend a few days there taking photographs! Thanks for sharing such a beautiful site! Marvelous! Thanks for showing this. I find this place breathtakingly beautiful.